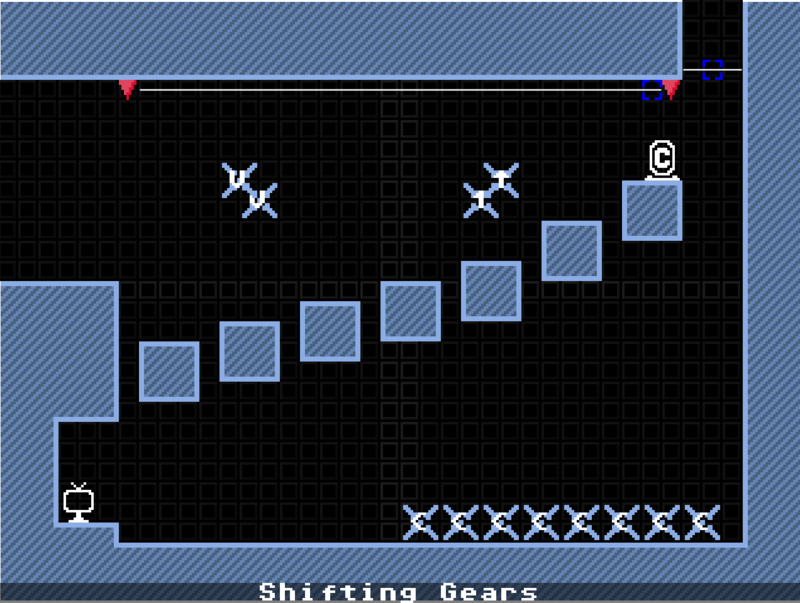 An alright level, it definitely has some its entertainment value. Welcome I liked that one obstacle that's supposed to be a congregation of spikeballs, looked neat to the eye. 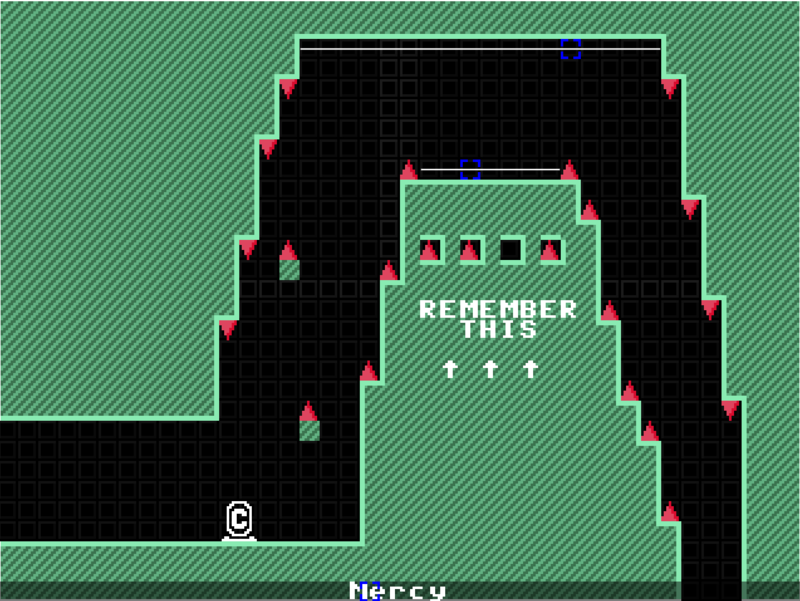 While it is fairly playable, a few issues (one notably) drags that aspect down a little bit. 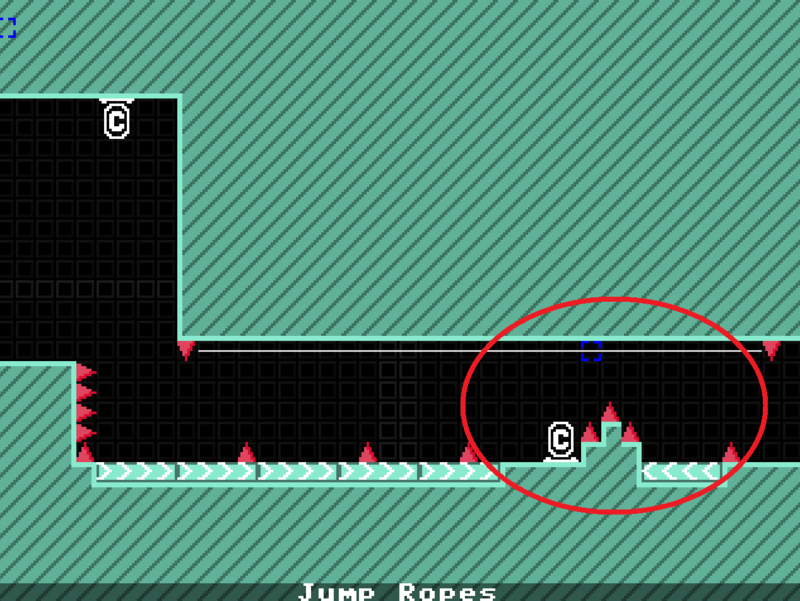 (Pic 1 & 2, from left > right / up > down) By far the biggest issue in your level. 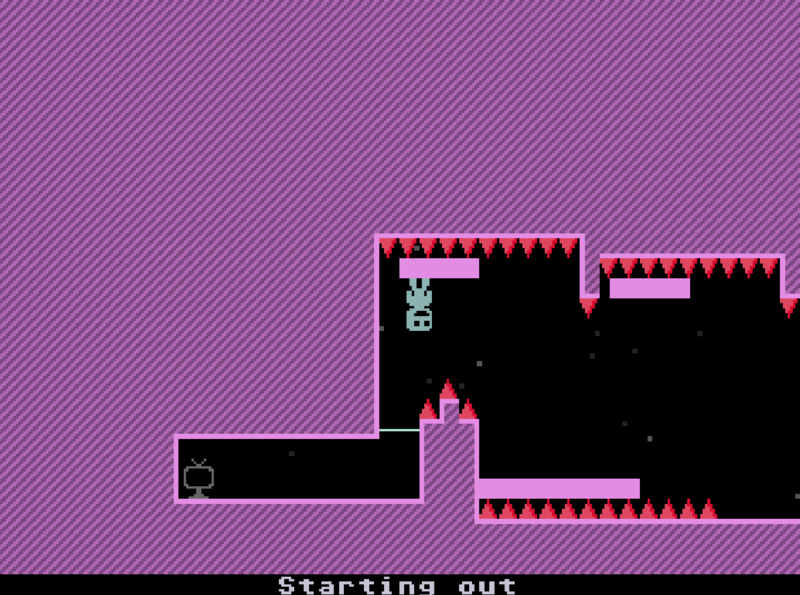 There is an over abundance of "blind drops" segments (And especially in that second area), where you blindly fall through unexplored and spikes-filled rooms at lightning speed, not having any way to react back to the challenges whatsoever. They just cause unavoidable deaths, and honestly more harm than good. As the maker this may not be of an issue at all (Because he knows the layout well), but players are guaranteed to die at least once for reasons unrelated to skill. As such they're quite annoying and unfun to deal with, and even more at large numbers. This room, although not that big of a deal in retrospective, remains an example of this. You are supposed to get to the room above by removing the grav. line using the terminal, but you'll die there almost immediately because we aren't expecting the need to move left. Bit of a time waste in my opinion. Of course, it depends on the difficulty of such section. If you're likely to die at least a couple times on it then that's okay, if however the section can be summarized with "Don't stand in the middle / left / right", the kind of stuff you can beat 100 times in a row, then all things considered it should be scrapped. Still, I saw that in a few places you gave the player hints or prior visualisation to these, which is a good way to make them more tolerable. Using room text (> v < ^) works nicely too. (Pic 3) By doing a trick called a "line clip", it's possible to pass through horizontal gravity lines like the one at the start. It consist in pressing the flip button twice and very quickly, but only if the line is close enough to the ground, like here. Moving it two tiles up will disallow it. (Pic 4 & 5) About aesthetics. This ceiling does have spikes on one side but not the other. It's hard to explain but it doesn't look right. On top of that the player might accidentally die if he ever go from 5 to 4 and up from the ceiling. (Pic 6) The idea behind this hint is good, but it itches me that its gravity line counterpart isn't there. Here I simulated this idea with the painted white line. The terminal could then be destroying it. (Pic 7) This part is a lot tougher than it looks, and it feels out of place in this otherwise pretty simple to beat level. Despite the blind drop problem, this fully built 11x11 level remains very playable, which is more than fine Is that one of your first customs ? :viridian:There's no story to this one, I just wish you good luck. I mean it isn't super hard... but yeah. There are a few "secret" rooms, and SOME difficult ones. I'd like to know if this is a good level or not, and if there are any improvements I should make. I hope you enjoy! thanks for the feedback. I may change the name, or maybe release something new over the summer (NO PROMISES!). 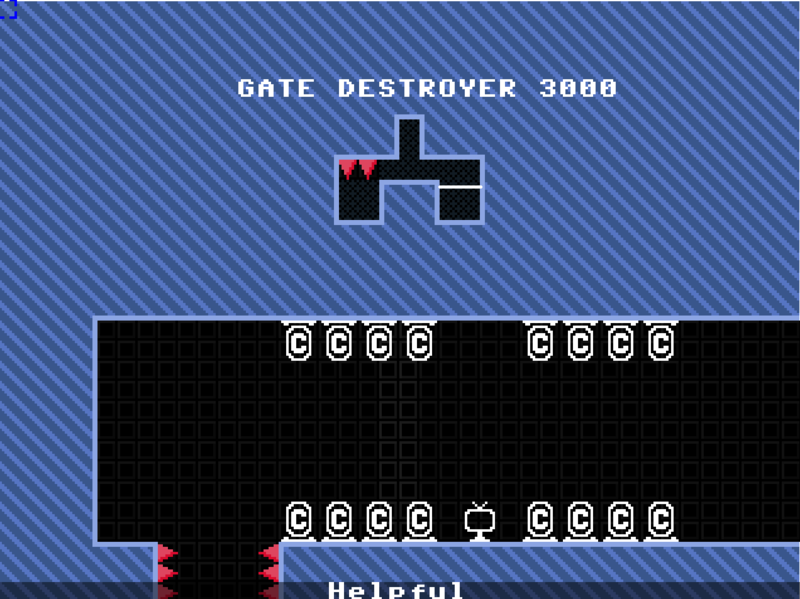 VVVVVV Help / Re: VED - The External VVVVVV Level Editor!